Only use the P4 Rapid Progesterone Heat Detection Test if you’re looking for a simple, fast and effective way of detecting whether cows that are pregnant. Fertility is one of the main issues faced by dairy farmers. Early detection of pregnancy in dairy cows results in improved milk output, improved feeding management, as well as propagation rate. Early detection is also vital because if a farmer does not quickly detect the pregnancy, the result is a delay in the period of calving, which means the propagation rate and milk output will decrease. What is the P4 Rapid Progesterone Heat Detection Test? Every dairy cow farmer knows the importance of estrus detection. This is why most farmers spend a lot of money on heat detection methods. With the P4 cow pregnancy test, farmers can detect when their cows are estrus prior to insemination. Using the test, farmers are able to track the cows’ cycles precisely, meaning the best time for insemination cannot be missed. The test can assist farmers to increase pregnancy rates without straining their budget. Also, the test is fast; you will get a progesterone result in as little as 5 minutes. The reason why it is necessary to test for progesterone is that it is the most precise way of detecting estrus. A cow’s progesterone level is low only for about 3 to 4 days during ovulation. The test can be used to detect the low progesterone days, giving you a sure way to determine when the cow is ready for insemination. Farmers can store the tests for as long as 18 months at room temperature. The permanent results can be stored for future use. Early pregnancy detection with the P4 Rapid Progesterone Heat Detection Test will enhance gestation management, resulting in an increase in the pregnancy success rate. Also, cows that are not pregnant yet can be hybridized early, which means the period of non-pregnancy is shortened and there will be a decrease in feeding costs. 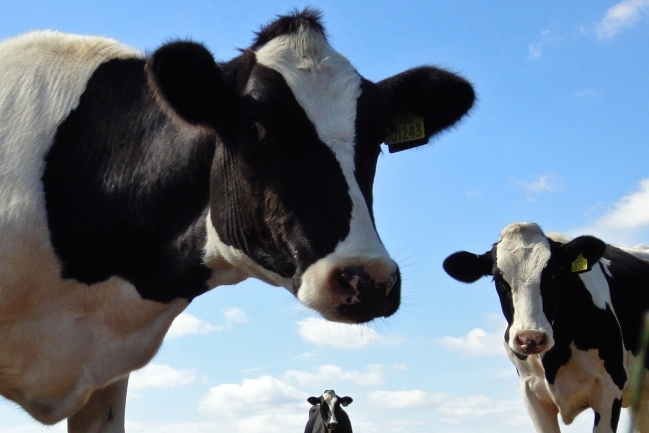 The P4 cow pregnancy test also provides farmers 98% pregnancy detection accuracy. In order to get the P4 Rapid Progesterone Heat Detection Test anywhere in Africa, all you have to do is contact Prime Pharma. Prime Pharma is a reputable provider of healthcare products to companies all over the world. This cow pregnancy test is a good way of saving money and getting the best from your cows in terms of output. The test is not only economical and effective, it is also quick and easy to use.